This week I’m commenting on three concerns from readers about recent columns. Each involves how to deal with colleges and university costs. Ted Nelson, of Andover, dislikes the new Minnesota legislation I praised that will allow students from families with incomes of up to $90,000 to receive up to two free years of tuition at Minnesota’s two-year public technical colleges. I think this law represents a great investment in Minnesota’s families and our future. 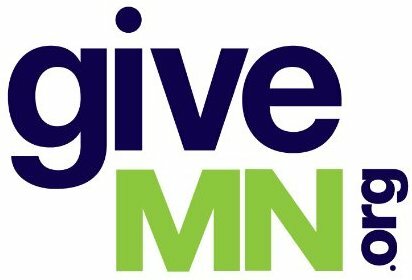 First, Minnesota employers are expressing urgent needs for more people trained in a number of career and technical fields. In some cases, technical jobs are not being filled and employers are not expanding because they can’t find enough well-trained people. Second, legislators recognize that college costs are a growing challenge for many middle-class Minnesotans. There is a fair amount of scholarship money for students from low-income families. Legislators wanted to expand opportunities for students from middle-income (up to $90,000 per year) families. I think the legislators were right. –College in the Schools, offered by high schools in cooperation with the University of Minnesota, and concurrent enrollment offered by high schools with Minnesota State College and University System members, are completely free to students. College credit is not based only on how well students do on the final examination. –Postsecondary Enrollment Options courses offered either via the Internet or on a college campus also offer free tuition, books and lab fees. The only potential cost is transportation to the campus. Families eligible for free or reduced-price lunches can apply to the Minnesota Department of Education for transportation reimbursement. –Advanced Placement, International Baccalaureate and Project Lead the Way feature exams at the end of the class. These exams are not free. In some cases, districts pay the cost of these tests. I’m checking with districts on their policies and will report in the fall. Zimmer also is correct that the amount of credit colleges give also depends on how well students do on the final exam. There also are differences among colleges and universities in terms of how much credit is given for each of these programs. More information coming this fall. Finally, several people familiar with former Carleton College president John Nason pointed out that my column about him did not include one of his major accomplishments. Nason was president of Swarthmore College in Pennsylvania during World War II. He was deeply disturbed by the government’s forcing Japanese Americans to live in camps with barbed wire around them. Nason arranged Swarthmore scholarships for 30 Japanese American students in these camps. He also urged other college presidents to do something similar. Ultimately more than 3,000 Japanese-American students received such scholarships. Nason was a compassionate, courageous leader. Readers mentioned above are only a few of the many people who write each week. You help make this a more informed, and I hope, more useful column. Joe Nathan, formerly a Minnesota public school teacher, administrator and PTA president, directs the Center for School Change. Reactions are welcome at joe@centerforschoolchange.org.